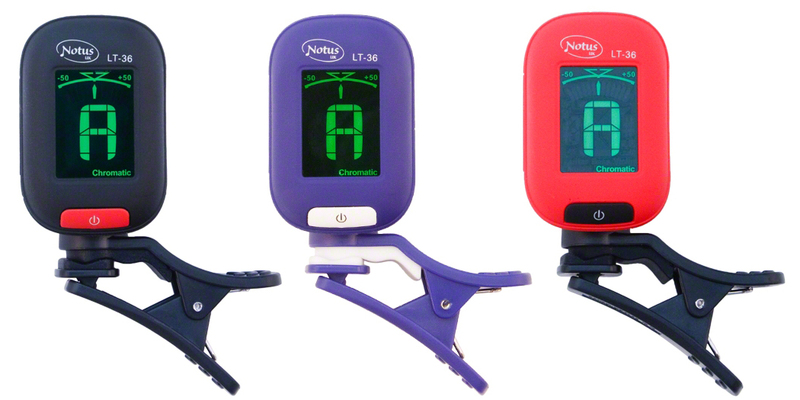 Our new Notus clip tuners have just come into stock. They are a new modern style, and come in 3 great colours. They are really simple to use – you just switch it on and clip-on. There are settings for violin, guitar, bass and ukulele – as well as a chromatic setting so you can use it on any instrument. Fantastic value at only £6.95 and if you buy an instrument from us (over £95), you get one free!